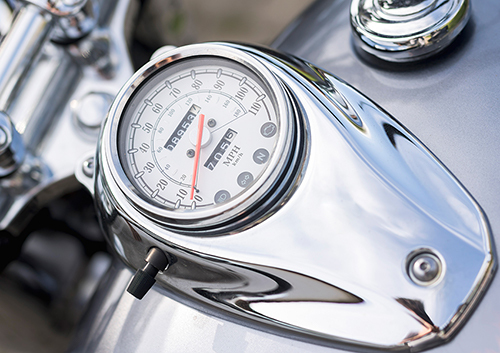 If you’re wondering how much a second-hand motorbike is worth and are looking for a valuation of your bike, simply enter your reg number above and we’ll supply you with an offer in under 24 hours. If you have a second-hand bike sat gathering dust in your garage, have you never wondered how much money you could get for it? It all depends on a number of factors such as the age and condition of the bike, but you could potentially be getting a much better price for it than you think. Best of all, you can find out how much your motorbike is worth in under 24 hours here at We Want Your Motorbike. All you have to do is enter your registration number and a few simple details about yourself and one of our experts will get back to you as soon as possible with a free valuation. We’ve valued thousands of motorbikes over the years, so you can be guaranteed that you’ll be offered a fair and accurate price for your second-hand motorbike (with no haggling), and have the money in your account in hours. 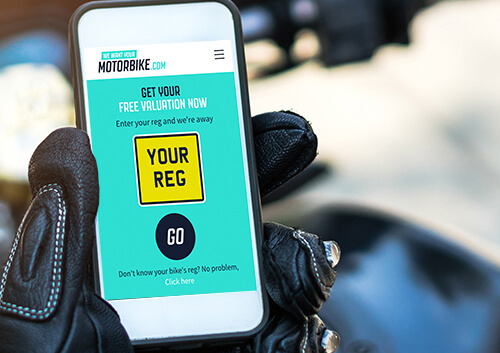 We can get the majority of information about your used motorbike such as make, model, engine size, year and colour just from your registration number, so this is a great starting point, although you can enter this information manually too. 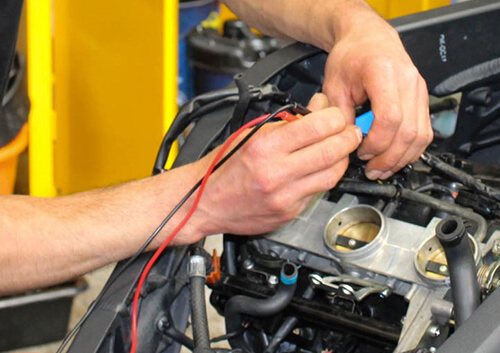 However, it’s crucial that you make sure that the information that you provide us with about the condition and mileage is as accurate as possible so that we can offer you a fair price. Once you have provided us with the necessary information, one of our expert team will be on the case and will aim to get back to you within the hour with your personalised valuation. Next, we’re going to dive into the exact factors that we look at when calculating a second-hand motorbike valuation. 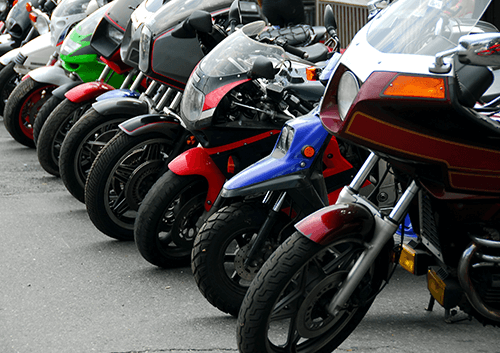 A used motorbike valuation depends on a number of factors, but ultimately it comes down to the demand for that particular make and model, as well as the condition that it has been kept in. Here we’re going to run through some of the main factors that could affect the value of your used motorbike. One of the most important factors we take into account with second-hand bikes is their mileage. Obviously, the more miles that the bike has done, the more its value will drop. Try to keep an eye on your vehicle’s mileage as you’re using it and if you know that you’re going to want to sell it in the near future, you might want to try and set yourself some limits. Like any vehicle, a second-hand bike that has been looked after will hold its value much better than one which has been left to deteriorate. As well as making sure you regularly clean the bike and carry out any necessary maintenance, consider how it is being stored too. For example, a bike that is stored in a garage is much better protected from the elements, which will, of course, maximise the value of the bike. We all know that new bikes depreciate fairly quickly in value in the immediate year or so after they’re first purchased, but this should level off after a few years. This being said, the age of the bike is one of the biggest factors we use when determining the second-hand motorbike valuation. The more detailed service history that you can provide us with, the more likely we’ll be able to give you a better valuation. 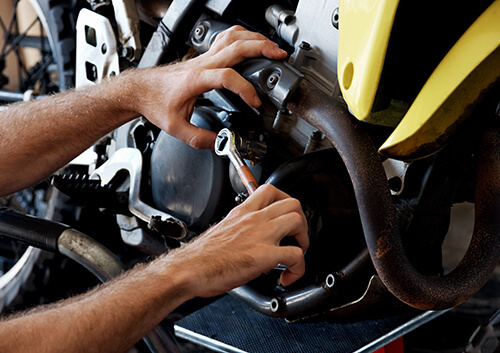 Service history gives us a better idea of how well the bike has been looked after and how much of a risk it is. For this reason, it’s important to keep hold of as much paperwork as you can and have it all to hand when it comes to getting your valuation. 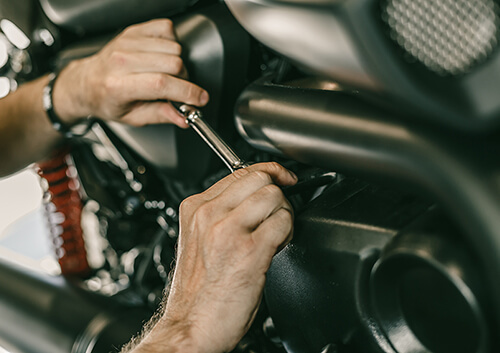 There are a number of different modifications (both aesthetic and mechanical) that your motorbike might have had applied to it, whether by you or another of its previous owners. While these can cause the bike’s value to drop, this isn’t necessarily the case. If your bike has had modifications carried out, be sure to note them down and take pictures if possible and send them to info@wewantyourmotorbike.com. Generally speaking, the more owners that your bike has had, the lower its value will be, although this isn’t always the case. If you want to find out how many previous owners your bike has had, just consult your V5C registration or logbook. Why Sell with We Want Your Motorbike? So, why have your second-hand motorbike with We Want Your Motorbike? Here are just some of the reasons we consider ourselves to be the UK’s leading bike buying service. When selling your bike, you want to know that you’re using a service that you can trust, which is why we take pride in the fact that our customers have given us an average rating of 9.4 on Trustpilot. We’re also one of the most experienced services around, having sold thousands of bikes since 2010, with an average sale value of £3,300. Selling a bike can sometimes be a hassle, which is why we try to make the process as quick as possible. All you have to do is enter your registration number and some personal information, which will just take you a couple of seconds. 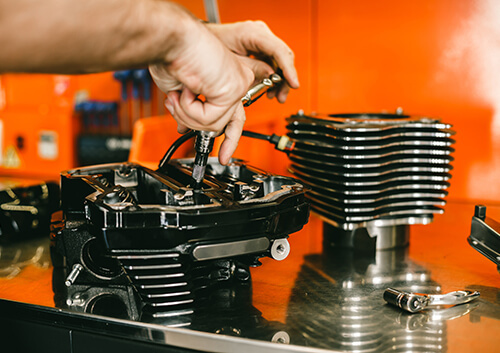 Once this is done, our experts will be on the god of valuing your bike and aim to get back to you with a personalised valuation in under 24 hours. If you then choose to accept our offer, we can have someone sent out to pick up the bike in the next 24 hours and have the money into your bank account before we’ve taken it away, it’s that simple! 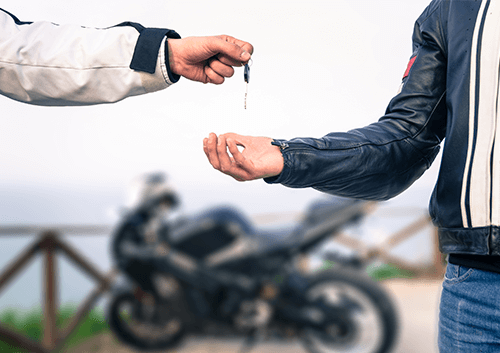 As well as being time-consuming, selling your bike privately can also be a lot of hard work, especially as most people will probably try to haggle you down on the price. That’s not something you’ll have to worry about when selling with us though, as the price that we agree on is the price that you’ll get, with no last-minute deductions. Finally, you do have to take some consideration over the safety and security of selling your bike privately. Unfortunately, there is always a risk of getting scammed or even having your bike stolen, which is why it’s reassuring to know that we’ll be able to come straight to your door to pick the bike up and won’t take it away until the money is safely in your account. I can’t find my bike on your website, can I still have it valued? We hold data on most bikes, as long as they are of UK origin and were manufactured since 1982. 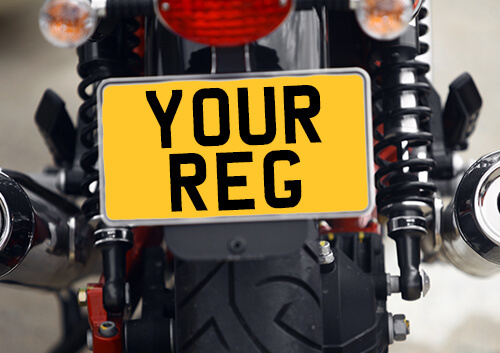 However, if we don’t recognise your registration number, don’t hesitate to get in touch with us on 01625 353 014 or email us at info@wewantyourmotorbike.com, as our team may still be able to help and offer you a valuation. Do you value motorbikes that are non-runners? I received a valuation some time ago, is it still valid? Because the motorbike market changes on a daily basis, we can only guarantee our valuations for up to seven days. Do you value imported bikes? As long as your bike is registered in the UK, yes we can value it, but bear in mind that models and specifications vary from country to country, so the price may differ to that of a UK supplied bike. Will modifications affect the value of my bike? Chances are that, yes, modifications will affect the valuation that we put on your bike, so it’s important that you make a note of any and take photos if possible and then them to info@wewantyourmotorbike.com. 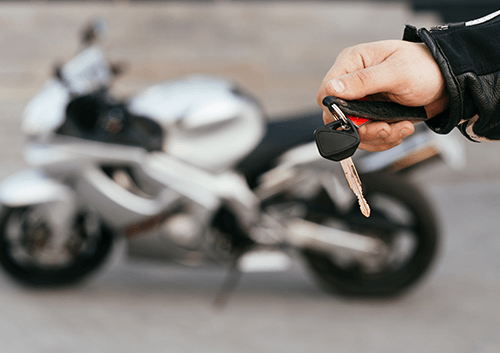 What if I fail to provide full details of my motorbike’s valuation? It’s crucial that you do provide us with the most accurate information possible about your used motorbike, as otherwise, there is the chance that we may have to reduce the valuation if we discover that it doesn’t match up to the description. Will you pay me the full amount of the initial valuation? Yes, as long as the bike is in the condition that you have described it to be, then we can offer you the valuation in full. If you know the registration of the second-hand motorbike that you’re looking to buy, then that will give us the majority of the basic information that we need, such as the make, model, year of manufacture and engine size. After this, we still require some other bits of information such as the vehicle’s mileage, the number of previous owners the bike has had (you can find this in the vehicle’s logbook) and the service history. We’ll also need to know if the vehicle is a non-runner and whether or not it has been subject to any insurance claims at any point. Finally, if the vehicle is a tourer, we need to know if it will come with panniers, and if it’s a sports bike we’ll need to know whether or not it is a race replica. If you choose to accept the offer, you’ll also need to dig out the vehicle’s VC5 logbook/registration certificate and all service history and MOT certificates with the keys. Of course, you’ll also need the bank details that you’d like us to pay into, as well as a finance settlement letter if you paid for your bike using finance. Great people to do business with. Honest, clear in their dealings and friendly. Specifically: the guys on the phone were clear and prompt, calling when they said they would call and giving good advice and Ross - the guy that picked up my bike - was professional, courteous and extremely knowledgeable. At every stage, I felt I was dealing with good people. I thought that a service such as this would offer a low price and then when they come to collect the bike, try to find fault and knock the price down further. My experience was the opposite. When they offered a price over the phone, it was the result of a proper conversation and when they came to pick up the bike the driver didn't quibble. I'm not blind to the fact that I could have gotten a few hundred pounds more for the bike privately, but I wanted to sell it quickly without trading it in. These guys worked well for me. Excellent service, took less than a day to sell my bike, I wanted £3,500, they gave me £3,500, paid off my outstanding finance and bank transferred the rest to me. Couldn't have been easier. Simple way of selling your bike! Very easy process, go onsite put your details in and get an offer. It’s worth being honest about the bike when you go online as when they come to collect they will check the bike and the price will reflect this. I had no issues and got paid straightaway into my bank account, no waiting around. The guy who came to collect was very polite and respectful and knew his bikes. Very quick and professional, highly recommended. Only slight negative is the prices they quote are for standard bikes and there is little room for negotiating accessories which can add up to a lot of money. I have used them twice now and would definitely use again. Service was good from start to finish. Offer on bike was OK for a quick and hassle-free sale. Better offer than other bike buying websites. Entered details about bike on website and received an offer online and then called about offer. Nice guy arrived and had a look and tested various things on the bike. When he was happy with the bike he called the office and the money was transferred into my account bike was put in van and away. Deal done excellent! So, if you’re wondering how much your second-hand motorbike could be worth, all you have to do to get started is click the "Value My Motorbike" button below then enter a few details and we’ll get to work on putting together a personalised used bike valuation for you and reply to you within the next 24 hours.